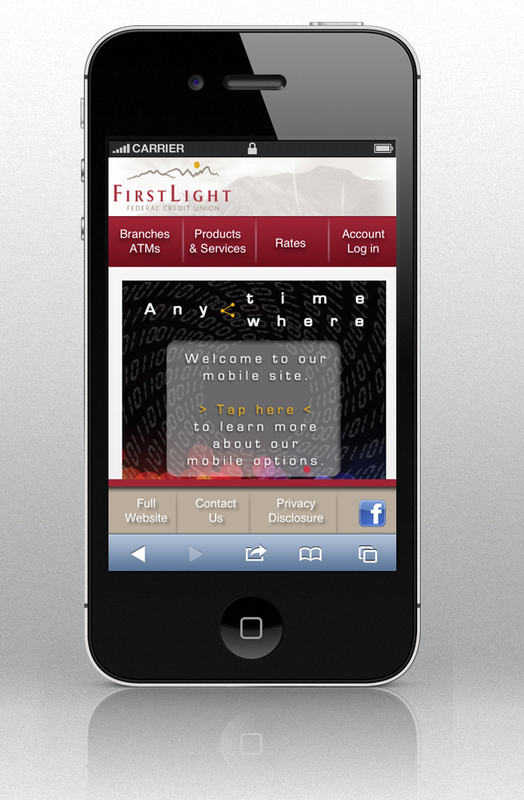 For FirstLight Federal Credit Union, mobility now equals ability with the latest launch of their mobile-friendly site. 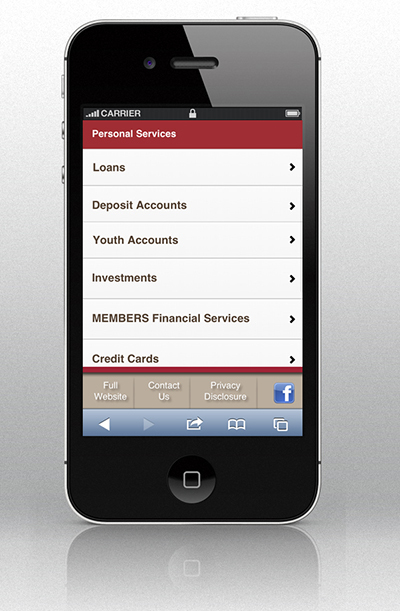 Now, when customers use a smartphone to visit the FLFCU website, it identifies the device and automatically routes them to a mobile-friendly version. FLFCU’s mobile website has several easy-to-use features designed to perfectly fit in the palm of a customer’s hand. With a few clicks, users can navigate through their account, browse through additional products and services, search for nearby branches or ATMs and much more. Through the mobile-friendly site, users can search for branches and ATM locations using their current location or by entering their zip code. After submitting, results are listed below with proximity, contact information, hours and a phone number for each branch location. Both branches and ATM results allow a user to access the “Get Directions” button that accesses a Google map to further assist a customer in locating their destination. The mobile-friendly site also contains information on the myriad of products and services FLFCU has to offer for personal and business purposes. Users can browse each category and subcategory as if they were visiting the full site on a desktop computer. Customers interested in savings, business share or loan rates with FLFCU also have access to the latest rates through a few simple clicks. And, if existing customers have an urgent transaction, the “Account Log in” function gives them the convenience of logging in and managing their FLFCU account directly through their smartphone. Should a customer have questions or simply needs a mailing address, contact information is readily available in the “Contact Us” link. For those hoping to see the latest and greatest posts on Facebook, a quick click will take users directly to the FLFCU page for interaction and conversation. Click now to explore the site on your smartphone! If you’re interested in a mobile-friendly site of your own, fill out our contact form or give us a call at (915) 351-8440.